All NGO must have Permanent Account Number (PAN) Card that is the ten-digit alphanumeric number. PAN Card is required at every stage to everyone in India including NGO, from opening Bank Account, for Bank Transaction, for salary under segment 139(4A) and (4C) and to get Grans and Funding from Government and other funding agencies. As the name proposes, it is a citizen’s changeless distinguishing proof number allocated by the Income Tax Department of Government of India. PAN card allotment is a permanent card number (as mentioned under section 139A(8) of Income Tax Act) in case if Income Tax Department may not cancel it for certain reasons. So after formation of NGO it is necessary to apply for a Permanent Account Number (PAN). The authorised signatory/ President/ Secratary/ Treasurer/ member of NGO can apply to get PAN number at the authorised agents who get application and proceed to allot PAN number after verification of documents. The application for requirement to get allo of PAN is required to be submit in a reexamined configuration of Form No. 49A. 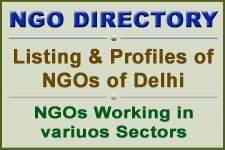 The memorandum of Articles or Trust Deed or Constitution (Samvidhan) of NGO/TRust/Society/Non Profit Company is necessary to submit along with application to get PAN. The copy of the Memorandum or Trust Deed that is to be submitted with PAN application it must be signed with seal/stamp by authorised signatory. NGO can make resolution to authorise any member or any authorised person can submit the application. The application for PAN should be accompanied by the proof of identity and address of the applicant. The proof of address and identity are mentioned in the Memorandum or Trust Deed of NGO. The PAN application is to be made to the assessing persons of authorised agency who have been specifically assigned by the Income Tax department to carry out the process and complete the function. After getting the application the authorised franchise/Agency provide Acknowledgement Slip with stamp seal and signature to receive application. Online application can be submitted for PAN Card but have to submit the memorandum or trust deed as evidence of identity and address proof of NGO. When the online PAN application is submitting, NGO must have to select for submitting documents options. There are the options available such as – Forward application documents physically or Submit digitally through digital signature or Submit digitally through e-Sign, during sumitting the online application form. After that you have to Select appropriate mode of payment and fill relevant details either by Demand Draft or by Online payment through Bill Desk in the online form submission process. Other options and proceeding is instructed in the application submission form. To open Bank account and make certain bank transaction it is necessary to mention PAN. For the Income Tax return and in all money transaction related correspondences with the Income Tax Department and other Government Departments. Government of India has made PAN card necessary for getting funds and to get the funds NGO must be registered online with the NGO Partnership DARPAN website of Niti Ayog (Planning Commission). For all kind of documents and challans for payment of any tax, interest and other transactions applicable under the Income-tax Act. sale and purchase of any immovable property in excess of certain amount that is decided by banks and other concerned authorities. At the time of sale and purchase of a motor vehicles other than a two wheeler. For deposit exceeding 50 thousand rupees in the bank accounts and Post Offices. For transfer, sale or purchase of shares, stocks and other securities in excess of 10 lakh rupees. Some times it is required to apply for a telephone connection or to get cellular mobile number. Payment at certain places that excess of Rs. 25,000 at a time. PAN card is required when the income of the assessee NGO is liable to deduction of tax at source, the assessee NGO is required to provide the PAN to the company or body who is for deducting tax at the source, so it can be adjusted in Income Tax returns. If the members and authorised office bearere of NGO do not provide PAN or not able to provide PAN that is necessary to provide under section 139A of Income Tax Act then it is subjected to penalty/punishment under area 272B of Income Tax Act, embedded by the Finance Act, 2002. A certain amount have to bear as penalty after such associations are subsequent after giving a reasonable chance of being listened. It might be noticed that punishment is leviable for not holding a candle to the current situation for PAN, as well as for inability to quote PAN in the endorsed reports, or inability to personal such PAN when required, or citing or providing a number which is incorrect. The penalty can not be applied or may be relief provided for peanlty if the assessee NGO demonstrates that there was certain reason for not submitting or providing PAN. We provide support and guidance to get and apply to NGOs.